For all of us, there are times in our lives when the spinning wheel of fortune lands on “bad things.” We face tragedy, heartbreak, loss, rejection, disappointment—challenges the likes of which we never faced before. But somehow, we not only survive these challenges, we usually come out stronger and wiser than before. Then, when we’re in the clear, and breathing a sigh of relief, we asked ourselves where we found the courage and perseverance to get through our troubles. But deep down we already know that answer. If we take a moment to reflect, we know that everything we are—all the love, strength and resilience that we have inside—we got from our mothers. That’s not to say we don’t have many teachers throughout our lives—and for many of us our fathers are pillars of strength and stability, loving men who teach us what it means to take on responsibility. But it is we, as mothers, who first hold our children in our arms. We are there in their first moments of life—nurturing and teaching them—leaving an indelible imprint on their lives. As mothers, we teach our children what it is to love unconditionally because they know we always have their backs. Not everyone is lucky enough to have a mother who molds and teaches them through the formative years of life. That was the case in my own life, but I was nonetheless blessed as a small child growing up in the projects of St. Louis, because I had two strong women in my life who filled the void when my own mother couldn’t be there for me. My godmother, Ethel, wasn’t highly educated or overly sophisticated. And yet she not only served as the matriarch of my family, but was someone the entire neighborhood looked up to for help and advice. Ethel worked as a janitor, and to support herself she cleaned houses in the daytime and then pulled double duty and cleaned offices at night. In the evening, I would tag along with her as she traveled to the wealthy suburbs outside of St. Louis. We would go inside big law firms, and big accounting firms, and I would help her sweep floors, empty trashcans and vacuum carpets. From up close, I saw her work with pride and humility. My grandmother, Doveanne, influenced my life in a different way. Unlike my Godmother Ethel, who worked from sunup to sundown and had a very pragmatic view of life, Doveanne was more of a dreamer. She was a high school graduate, and at one point worked as a medical clerk assistant until a tragic incident left her a paraplegic, confined to a wheelchair. But that didn’t stop her from imagining a different life for me, one outside of that housing project. They sacrificed and saved enough money so that I could attend an elite private girls’ school. And with the lessons they taught me about perseverance and hard work, I was able to earn a scholarship to the University of Chicago, which in turn led to me being accepted to Harvard Law School. As I was growing up, I wasn’t always aware of the lessons I was learning from Dovanne and Ethel, but these two incredible women—even if they didn’t know it—were preparing me for the biggest challenge of my life: my third child, Marty’s autism diagnosis. It absolutely devastated me. Like most parents, I’d dreamed of a life of endless possibilities for my son. Maybe he’d become the CEO of a Fortune 500 company, or a distinguished archeology professor, galivanting around the globe like Indiana Jones; or perhaps he’d even become President of the United States. But with an autism diagnosis, I had to reexamine the dreams I had for my son. His life was going to be very different from the one I had imagined. The same was now true about my own life. Marty was not only going to require specialized care, but seeing to his care was going to require a huge commitment of time and require specialized knowledge that even as a lawyer, I didn’t have. Overnight, the life I’d carefully planned for my son and me had been turned upside down. And I was not alone in my dilemma. A survey by the Center for Disease Control shows that autism is the fastest growing developmental disability in the United States, with 1 in 68 children born in America diagnosed with the disorder. This means that like me, tens of thousands of families each year suddenly find themselves thrown into a whole new world of specialized medical and therapy appointments, special schools and curriculum; it all can be so overwhelming that many parents struggle to keep their jobs while managing their child’s health and educational needs. Many dads try their best to help out, but from my personal experience, it’s the mom who becomes the de facto chauffer, case manager and therapist. As mothers, most of us understand that forgoing comforts and indulgences for the sake of our children is part of the bargain, but having a special needs child can require extreme sacrifices. I’ve known moms who’ve quit their jobs, forgone self-care, friendships, romantic relationship—all of which can take an enormous physical and emotional toll. Mothers who try to keep their careers going are often judged harshly by family members and peers, some of whom think a woman should give up everything for the sake of her child. This often leads to feelings of guilt and depression, which in turn can result in weight gain, hair loss and anxiety disorder. In my own life, I constantly worried about Marty’s future and whether I was doing enough, and doing it fast enough. The pressure I was feeling to do it all was enormous and crushing, and being a lawyer and having a supportive husband and family, I was in a much better position to handle the situation than most. And yet, I was still struggling to handle Marty’s diagnosis and care. In the end, the thing that saved me—the thing that got me through—were the life lessons I learned from Ethel and Doveanne. I still had that work ethic, and I still had the perseverance and determination they instilled in me. I resolved to make the best life possible for my son no matter what! I educated myself on all there was to know about autism, and I went on a quest to find Marty the best medical and health care possible. I also found him the best specialists and teachers in Los Angeles. It wasn’t easy and there were setbacks along the way, but eventually I mastered Los Angeles’ nightmarish healthcare and educational maze. I started a nonprofit, Special Needs Network, Inc. which has provided resources to over 40,000 parents, I wrote a book on advocacy and use my platform as a TV commentator and host to raise awareness of autism. Today, my son Marty is a handsome teen who is leading a full and productive life. I couldn’t love him more or be prouder of the person he has become. They say that experience is the best teacher. And if there’s anything that I’ve learned from my experience with my son Marty, if there’s anything I would say to a woman who now finds herself in my shoes, it would be don’t be too hard on yourself. Don’t expect to have all the answers right away, and don’t feel guilty about still living your own life and striving to achieve your goals. Pursuing your own dreams—taking time for yourself—doesn’t make you less caring or a bad mother. It makes you a healthy, happy normal human being. Areva Martin, Esq is a multi-award winning attorney and on-air legal analyst for cable and network television. She is a CNN contributor and a regular contributor on Good Morning America, ABC World News and Dr. Phil. A recurring co-host on the Emmy award-winning daytime talk show, The Doctors, Areva is a nationally recognized autism and children’s rights advocate. She is the founder and President of a non-profit organization, Special Needs Network, Inc., California’s premier autism advocacy organization. Areva has been appointed and has played leadership roles in almost every California legislative committee on autism and the special needs community. Under her leadership, Special Needs Network has provided services to over 40,000 families and was one of the lead organizations on key legislation that provides for increased services for individuals on the spectrum, including California’s insurance laws that mandate coverage for autism therapies. Areva has raised millions of dollars for autism related causes and has written over 200 articles for print and online autism and health related publications. Her book, The Everyday Advocate: Standing Up for Your Child with Autism and Other Special Needs (Penguin 2011) soared to the top of Amazon’s best sellers’ list upon release and has become a must read for parents, advocates and caregivers. A graduate with honors from Harvard Law School and the University of Chicago, she is the founding and managing partner at Martin &amp; Martin, LLP, one of LA’s premiere female and African American owned law firms. Areva has been consistently identified as one of LA’s top attorneys including being selected as a Southern California Super Lawyer every year since 2014, a distinction reserved for the top five percent of the attorneys in the state. 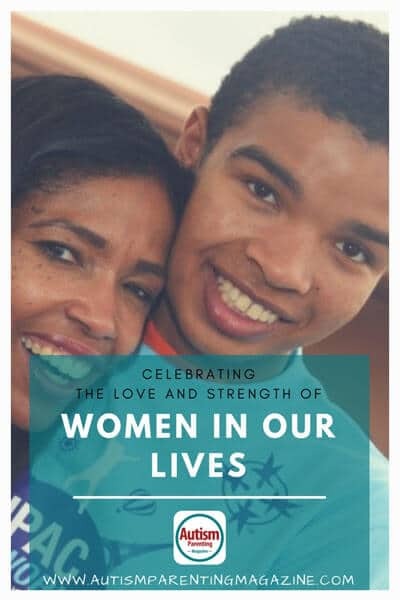 Areva is the recipient of countless awards including L’Oreal Paris’ Women of Worth; Los Angeles County Women of the Year; Ford’s Living Legend; the James Irvine Foundation Leadership Award; and Union Bank’s Neighborhood Hero. Areva lives in Los Angeles with her husband, two daughters and son, who is on the autism spectrum. A lover of all things social media, she is a runner with a passion for 10k races. Her third book, Make it Rain (Hachette 2018) comes out in March of next year, and this Spring, you can check Areva out on Fox’s new fast paced legal show, We the Jury. Areva Martin is one of the nation’s leading voices in the media. An attorney, legal and social issues commentator, and talk show host, she is an audience favorite on a long list of talk and news shows on CNN, ABC and Fox. With regular appearances on Good Morning America and Dr.Phil, Areva is also a cohost on the Emmy Award-winning daytime syndicated talk show The Doctors. A Harvard Law School graduate, Areva is the founding partner of Martin & Martin, LLP. She represents clients in high-stakes civil and disability rights and employment litigation. She has been identified as a Southern California Super Lawyer for the last three years. Recognized as one of the nation’s leading autism and children’s rights advocates, she is the founder of Special Needs Network, Inc. and the author of an Amazon best-selling book, The Everyday Advocate: Standing Up for Your Child with Autism and Other Special Needs (Penguin 2010).